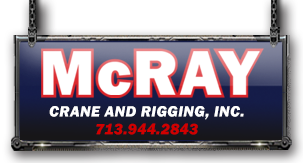 McRay Crane and Rigging owns and operates a full fleet of trucks and trailers to move you. We offer floats, lowboys, drop decks, and double drop stretch trailers to meet your heavy hauling and transport needs. And if you need to store your equipment, we have over 10 acres of outdoor storage and more than 20,000 square feet of indoor storage. We can pick your equipment up, off-load it at our facility and then deliver it to you on your schedule.